[Off Topic] My Early Home, Merrick N.Y.
the electric grid becomes intermittent or unavailable. Many do it yourself projects are described at BuildItSolar. Planning a solar system. What size system is needed? Conventional refrigerator. My refrigerator consumes 25% (250 watt hours) of the total energy captured by the solar panels (1000 watt hours) on a bright summer day. Smaller high efficiency appliances are available such as Sunfrost, Sundanzer and Novacool. Or use a propane powered refrigerator similar to the Dometic (search the site for refrigeration). Hot water. An on demand propane water heater is recommended, preheated with a solar hot water system. Other propane powered options will also work. Hair dryer. This is useable because it is not used for a significant time duration. However,depending upon the inverter size, it may not work during periods of high demand by a deep well water pump. My experience with a 2000 watt inverter was that a deep well water pump would not start when the hair dryer was being used unless the batteries were fully charged. Deep well water pump. A capacitor start motor (3 wires with a control box) is more easily started than an induction start pump motor (2 wires). In the U.S. most deep well pumps are 230 VAC. In the U.S. where appliances use either 115 VAC or 230 VAC, an auto-transformer is needed to double the output voltage of the inverter. Some expensive dual inverter systems may not require this. An alternative solution for the well pump is to use a Grundfoss 120 VAC submersible pump. The Grundfoss is designed to start with less current than a conventional well pump. A very useful device to create an energy survey of appliances currently being used is the P3 International P4400 Kill A Watt Electricity Usage Monitor. 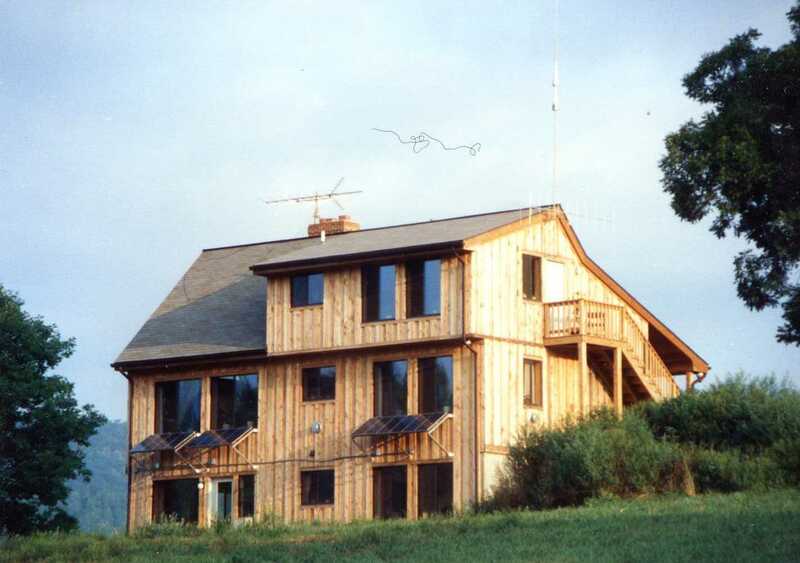 Two of us (1992 to 1999) lived at Gateway Farm in a 2700 sq ft house not connected to the grid. 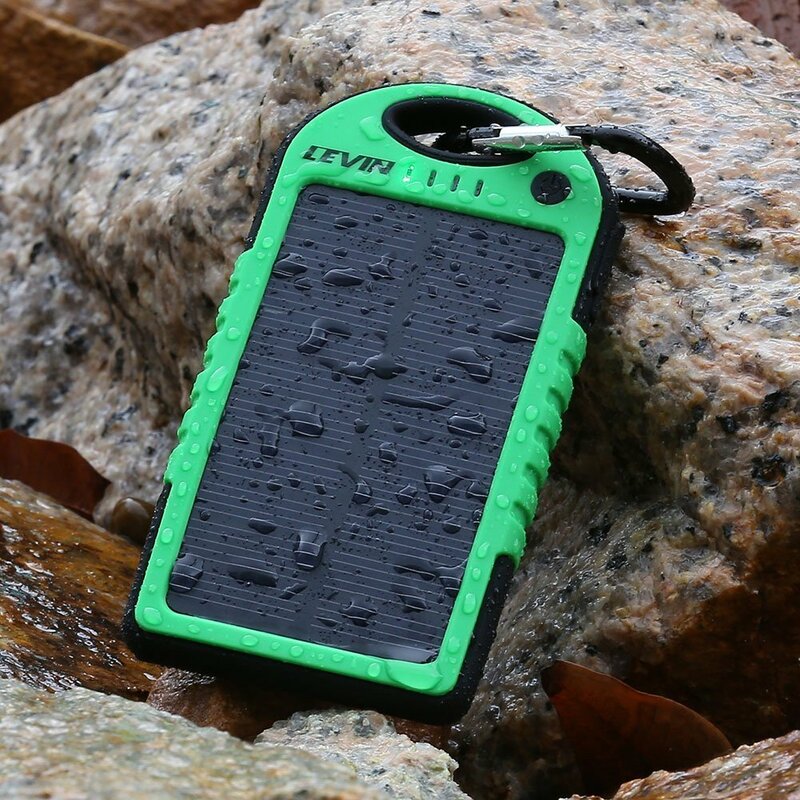 700 watts of solar panels (14 solar modules of 50 watts each) provided solar charging power for Trojan T-105 batteries. The batteries provided power to a 12VDC 2400 watt Trace (now Xantrex) DR2412 inverter. There was no automatic dishwasher or air conditioning. Domestic hot water heater and direct vent space heaters were powered by propane. A generous amount of south facing glass provided free passive solar heating. The washing machine was standard and the clothes dryer used propane for heat and electricity to tumble the clothes. 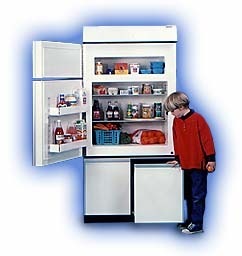 The refrigerator was a high efficiency 12VDC 12 cubic foot Sunfrost RF12 ($2359 plus $50 crating fee). Peak electric loads occurred while clothes washing, drying clothes and pumping water all at the same time. Without using the generator, the battery-inverter system had enough power to start the submersible water pump while the washing machine and dryer were running and a few fluorescent lights were on, but only if the batteries were not low of charge. A generator was needed to provide power during times of peak power demand. Originally the generator was a 3500 watt Honda. It turned out that it was working near maximum capacity during times of peak power demand: pumping water, running the washer and dryer, and charging the batteries. The small generator was short lived due to stress. Pick an adequately sized generator. A 5000 watt generator replaced the stressed out 3500 watt generator after the smaller generator failed. Looking back, I would estimate the generator was used an average of 2 or 3 hours per day. That would not be acceptable now considering the price of fuel today. A small cabin would be less demanding of power. An electric hair dryer uses a lot of energy for a short period of time, but if there are no complaints it may save your relationship. Try not to pump water while the hair dryer is being used. Heavy electric loads (vacuum cleaner, etc) should be done when the generator is online. Some energy hungry appliances are better fueled with propane. Those appliances may include a cook stove, refrigeration, space heating, domestic hot water heating, and a hybrid electric/propane clothes dryer. Propane is also a good choice for generators. If a generator is stored with old gasoline in the carburetor, it is simply a matter or time before the generator will not start. That problem does not exist with propane.